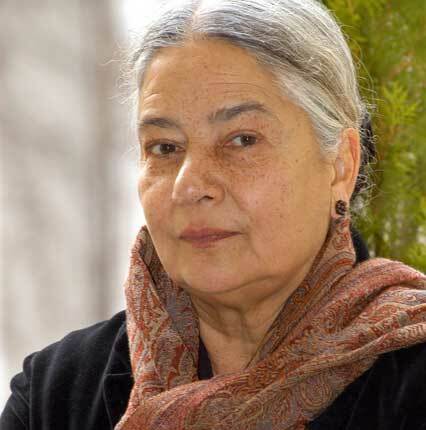 The title story of Anita Desai’s new book – a collection of three novellas – is about an introverted man named Ravi who goes to the city as a youngster, fails to adjust to life there, and returns to his Mussoorie home after his mother’s death. Back in the hills and now unmoored – but inspired by the outdoors, which he loves – he discovers a measure of peace as well as an outlet for artistic self-expression. Then this tranquil story takes an ambiguous turn: just as Ravi’s work is on the verge of being discovered, perhaps appreciated, he disappears into the shadows. It’s a compelling portrait of the artist as hermit – someone who can be true to himself only by staying hidden from sight. 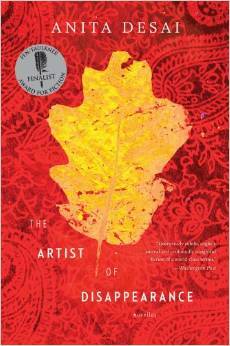 But Ravi isn’t the only reclusive artist – or aspiring artist – in this triad of stories. In “Translator Translated”, a college lecturer named Prema attempts to bring the work of an unassuming Oriya writer to a larger readership, by translating them into English. But our perception of this well-intentioned, almost altruistic project changes when we learn that Prema is a failed writer herself and that her translations of Suvarna Devi’s work might be a pretext for realising her own suppressed ambitions. And while the unnamed narrator of “The Museum of Final Journeys” is no artist – he’s a sub-divisional officer, posted in a desolate circuit house – he has a love for books (“I had secretly hoped to become a writer,” he tells us, the “secretly” implying that this was never a realistic option) and a restlessness that one associates with creativity. However, when circumstances lead him to an immense “museum” of treasures from around the world, housed in a decrepit jungle mansion, he finds himself unable to deal with the enormity of what he is seeing, or to take responsibility for it. In different ways, then, these novellas are about works of art that are unacknowledged or not meant for public exhibition, and eventually destined to fade into time’s recesses. There are small connections – as well as telling contrasts – between the characters, and the elegant stillness of Desai’s writing helps stress these links. If Ravi retreats like a scared animal when someone comes too close, Suvarna Devi is described as “a creature who had been startled out of her forest hiding, one of those well-camouflaged birds that will dart under the bushes on being surprised”. Faced with a less-than-inspiring novel (and with her own need to be more than “just” a translator), Prema “suffered from a sense that she was struggling, like a drowning fly, to raise herself up from the dull, turgid prose before her and somehow recover the art of flying”. This in turn is reminiscent of the subdivisional officer feeling claustrophobic in his new posting, and of Ravi suffocating in the city (“in order to survive he needed to be at altitude, a Himalayan altitude, so he might breathe”). It can be a mistake to look too closely for thematic recurrences in an author’s work – one might fall into the trap of examining each new work according to pre-set ideas. But Desai’s best writing – as in the novels Baumgartner’s Bombay, In Custody and Clear Light of Day – has always tapped the currents passing beneath uneventful or circumscribed lives. These concerns are on view throughout The Artist of Disappearance, particularly in her description of socially awkward people like the shy boy bullied in school, or the woman who runs into an old classmate (much more popular and successful than herself) and marvels that the other woman’s memories of their teachers are so happy when hers are just the opposite. The prose is characteristically vivid – notably in a lengthy description of rooms packed to overflowing – and when Desai allows herself an indulgence, it’s done with discernment: for example, “Translator Translated” is told mostly in the third person, but a couple of passages are narrated in Prema’s own voice – including a key moment where she exceeds her brief by taking liberties with Suvarna Devi’s text. The device suggests Prema’s transition from merely being a character in a story to taking over the writing of it.